Observed in scrub habitat on a tree branch. Mweiga, Nyeri County, Kenya, Dec 2015. 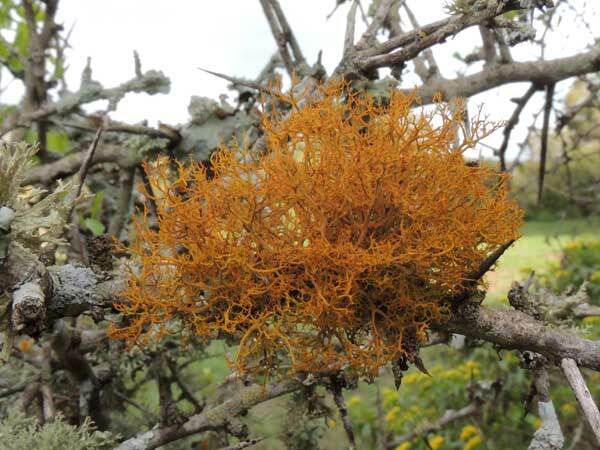 This lichen is attached to a tree branch where many other types of lichen were crowding for available space.